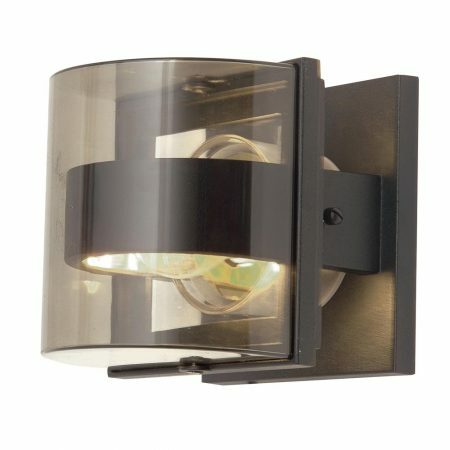 The Elstead Frida 1 light small outdoor wall light in graphite with Art Deco style is rated IP54. Featuring a square wall mount and secondary fascia supported on side arms, with distinctive curved outer bar and clear polycarbonate shade. The bar creates a wonderful diffused and effective anti glare illumination, whilst giving an unusual shadowed light. Instant Art Deco appeal supplied with a 5 year anti-corrosion guarantee. A small, stylish exterior fitting, made from die-cast aluminium and finished in a graphite coating, with polycarbonate lense to protect the lamp housing. Characterised by a bold bar, this Deco style outside light disguises the light source and casts unique shadows on its surroundings. Perfect for an outside porch or exterior wall to illuminate a pathway or front door area. 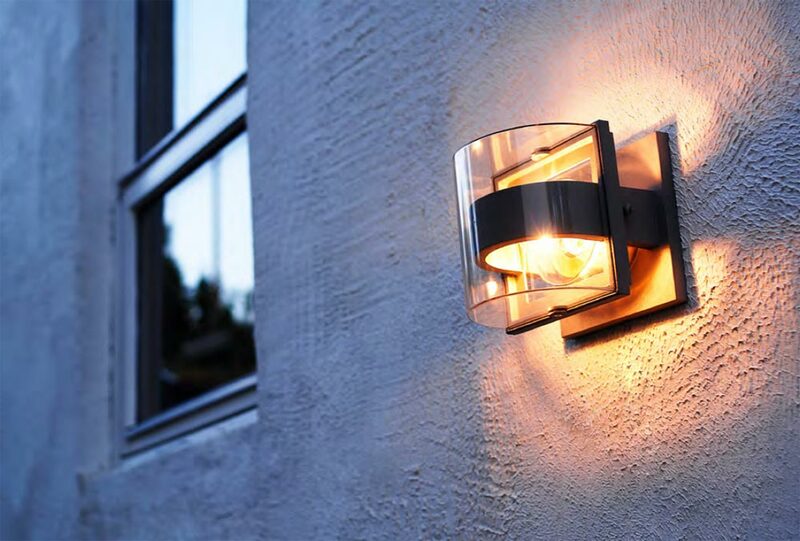 This exterior light is supplied by Elstead Lighting, a British company that specialise in the manufacture and distribution of quality decorative lighting such as the Frida 1 light small outdoor wall light in graphite with Art Deco style and rated IP54 you see here.